My writers will provide your organization with creative, quality content that will engage your readers and donors through inspirational, feature, and fundraising writing. 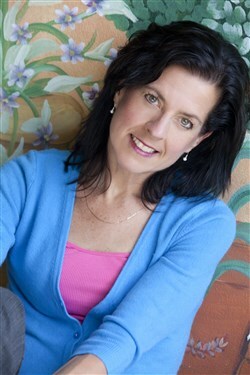 Dr. Catherine Allen is a writer, musician, educator, and vocal coach. She received her bachelor’s degree in French from Wellesley College, her master’s degree in Vocal Performance from the New England Conservatory, and her Doctor of Musical Arts degree from the University of Arizona. 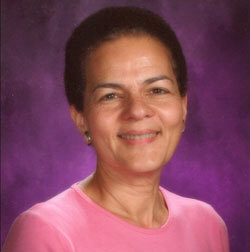 Catherine writes essays, articles, devotionals, musical plays, poetry, and children’s literature. Her articles have appeared in such publications as the MIVT newsletter and the San Manuel Miner. Her plays, including Wise Men Still Seek Him, The Story of the First Rainbow, and Doe-a-Deer, have been performed in schools and churches. “I seek to raise the sights of readers beyond this world; to provide a lens that not only sharpens focus, but also reveals what might otherwise remain unseen. I aspire to ignite a new or renewed vision of the surpassing greatness, goodness and love of God, and of the extraordinary future He is preparing for us, even now, in the heavenly realm.” Catherine lives in Tucson, Arizona, where she is currently writing a book that explores one of the most profound and still unsolved mysteries of the Bible. Gigi Cook is obsessed with words. She likes to say them, she likes to read them and particularly she likes to write with them. Gigi has served as corporate trainer for an international training organization as well as on-staff contributor to nationally syndicated radio programs. She is dedicated to encouraging and inspiring others, and has a master’s degree in psychology and is currently collecting stories for later publication. Gigi, her husband and their dog live in Utah running a small antique business while contributing time, love, and energy to local Christian ministry. Peggy Bayless Gustave as a novelist and short story writer who also extends her work beyond writing fiction to include working as a news editor and devotional writer. She has written and published hundreds of devotionals and news articles through The Presidential Prayer Team, and has written four published novels, and continues to put out one every 12-15 months. A single mom of two adult children, Peggy lives in Phoenix, Az. Carol was a devotional writer for The Internet Cafe for seven years. She writes for her own blog site, Sheep to the Right, as well as a monthly family funny column called “Giggles and Grace” for Just 18 Summers, a new website for parents. She is also on the writing staff for the Presidential Prayer Team where she writes devotions and news articles. An entertaining international speaker, this southern belle speaks for women’s retreats, church circles and M.O.P.S. groups. She and her husband are marriage mentors and often teach and speak on the topic. You may also find her at Phillips State Prison where she frequently teaches and works with the prisoners who are a part of the New Orleans Baptist Theological Seminary ministry degree program. Carol received a bachelor’s degree in pre-teaching/language arts and a master’s degree in curriculum and instruction, both from the University of Tennessee. Carol taught elementary school for six years before trading being called “Mrs. Hatcher” for “Mommy.” Carol and her husband Alan are working to become Everyday Missionaries in Buford, GA as they teach their three children, Colin, Faith and Grace, to serve others one tweet and post at a time. 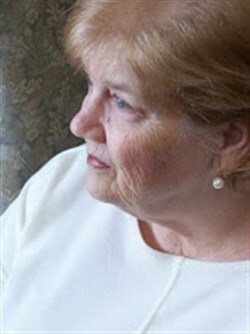 Connie L. Peters is a freelance writer with over 30 years of experience. She writes fiction, poetry, creative nonfiction and devotions for adults and children. Connie’s work has appeared in numerous publications and websites including Focus on the Family, The Christian Communicator and The Presidential Prayer Team. 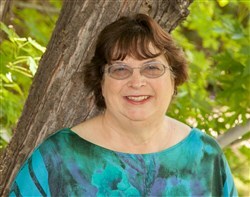 Connie has served on the board of Southwest Christian Writers Association for over 20 years. She has written a poem a day since October 2004. 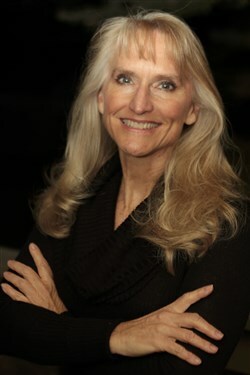 Connie has received a Bachelor of Arts in English Literature from Grand Canyon University. Connie lives in Cortez, CO where she and her husband host an adult with developmental disabilities. They have two grown children who both live in Arizona. 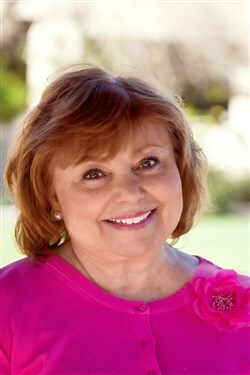 Connie likes to travel and has visited all fifty states, plus the Caribbean, Canada, and Mexico. Learn more about Connie. Read Connie’s poetry in progress. “The High Calling.” Recently, Janis has written articles for the Christian community service organization 4Tucson and devotionals for Family Life Radio. Her inspirational and devotional writings which are designed to find Jesus in everyday life are shared on her blog, Heart-Filled Moments. 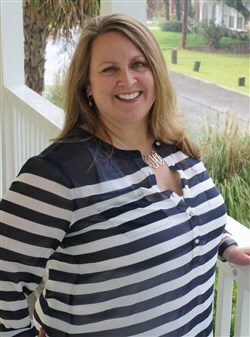 As an editor and journalist with more than 25 years writing experience, Janis’ feature stories have appeared in a variety of media including company publications, newspapers, an airline magazine, and the magazine/newspaper she edited for her local Christian community. While in the field of public relations, Janis received awards from the International Association of Business Communicators for her writing and editing. Janis’ experience also includes working with special education students and leading teacher training meetings in the best methods to instruct children with Attention Deficit Disorder. She and her husband, Tom, live in the Saguaro-dotted hills of Southern Arizona. They have two adult sons whom they adopted and one daughter-in-law. Holly Meade has had the privilege of creating and managing content for Christian media for over 20 years. Her writing and editing portfolio includes radio and video scripts, feature articles, devotionals, press releases, news stories, fundraising newsletters and appeal letters. Holly has also produced radio and television programs and videos for worldwide ministries such as Campus Crusade for Christ. With a master’s degree from the University of Florida, Holly teaches college journalism and mass communication classes to future journalists. Holly enjoys exercising outdoors and has completed six half-marathons. She is a raw food chef and loves encouraging people to seek health and wellness by eliminating toxins through diet, lifestyle and essential oils. Rachel Richardson is a writer, editor and owner of The Write Palette LLC, through which she provides professional writing and editing services across multiple genres. Avid lover of words since she was a child, Rachel knew early on she was meant to write. She honed her knowledge of the craft through her studies in Tucson, AZ, and then at university in Seattle, WA, and Canterbury, UK. Rachel graduated with honors from Seattle Pacific University, earning a Bachelor of Arts in English with an emphasis on creative writing. She is well-versed in writing and editing creative nonfiction, fiction, and poetry. Rachel is dedicated to the art of written communication and storytelling. Innately passionate about people and their experiences, she thrills to give voices to those stories that might otherwise be forgotten. Rachel’s editing approach mimics her belief that each story is unique. To honor that premise, she uses a customized approach to ensure each client’s manuscript receives the attention it needs to shine and thrive. While Rachel currently calls Tucson home, she loves connecting with writers and story-makers around the globe. Lily has always had a love for writing and it has been a hobby of hers from a very young age. She has finds her passion in expressing truth on multiple topics through the written word. Lily is a native Tucsonan and third generation Arizona Wildcat. 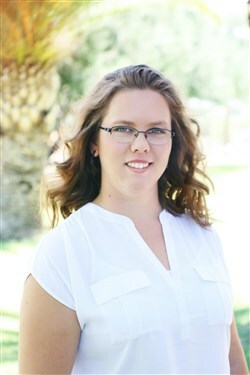 She graduated from the University of Arizona in 2010 with her degree in journalism, which she is pursuing and currently writes for two hyper-local magazines. She is also the youngest of eight children all of whom are musically inclined. She along with her mom and four other siblings participate in their church’s worship team and music outreach ministry. As a fundraising letter writer for nonprofit organizations, Andrea helps WriteWorks clients proclaim their mission to donors and members. Her ghostwriting uses your voice to help you tell your unique story, touch your donors’ hearts, and generate income for you to continue your mission of changing lives. Andrea Arthur Owan is a writer, speaker and educator. Her creative non-fiction, fiction and technical writing has appeared in books, including Chicken Soup for the Soul and Guidepost publications, blogs, secular and religious magazines and newspapers, teaching manuals and theater productions. Andrea is also co-owner of The Ingenium Communicator Group that provides freelance copywriting and editing in inspirational and technical markets for individual and B2B clients. 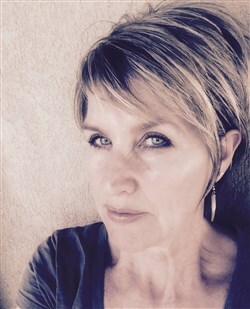 Her professional memberships include American Writers and Artists, Inc., Freelance Writers Den, American Christian Writers Association, and Tucson Christian Writers, where she serves as coordinator and educator. Andrea lives in Tucson, AZ with her beloved Chris. Born in California and raised in Hawaii, Andrea enjoys dividing her writing, romancing and ukulele-playing time between the three states. Connect with Andrea at andrea.icommgroup@gmail.com. Jim Ray is a seasoned nonprofit leader with 25 years of experience working with a diverse range of charities, from small-shop start-ups to organizations with $100M+ budgets. Through his work, Jim has developed extensive skills in managing direct mail, major gift and planned giving programs while working closely with boards and leadership teams. He has developed and executed operating plans and capital campaigns for a variety of institutions. He has also written extensively and has over 2,000 published works to his credit. 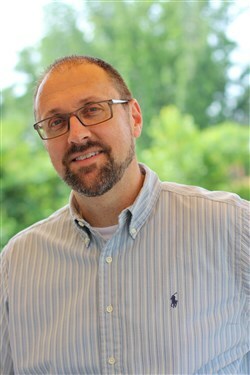 Jim has worked in advancement for such organizations as the University of Missouri, University of Missouri Health Care, Family Life Radio, and the American Red Cross. He currently serves as Director of Gift Planning for the International Fellowship of Christians and Jews and is a member of the Board of Directors of Street2Street, a Metro New York area charity that helps at-risk inner-city kids through sports events, mentoring and personal development. Jim has been a Certified Fund Raising Executive (CFRE) since 2006 and is a past president of the Planned Giving Council of Middle Tennessee. He currently lives in Virginia with his wife Stacey and has two adult children. INTEGRITY: I will be honest and not lie or mislead in anything I do. WORK ETHIC: I will have a consistent commitment to honor best practices for writing, editing, publishing, and coaching; I will seek ongoing training for my skills. COMMUNICATION: I will communicate with clients and my team clearly and thoroughly regarding expectations, processes and deadlines, scope of work, and terms and conditions of agreements. INTERACTION: I will practice one-on-one interaction with a customized, personalized approach to help others tell their story. RESPONSIBILITY: I will be accountable for my business' finances and sustainable practices; I will be accountable to my causes through my volunteerism and giving.